Unfortunately, another article attempting to consider criticisms but failing to ask the most basic ones. Will prices rise accordingly, with universally increased income? And where will the UBI end up? Unless the redistribution aims to change the distribution of ownership of basic supply (example housing, food, energy etc), bringing about greater ownership (private or collective) to those of low income and low capital, any additional income will be quickly absorbed by owners of capital – able to extract rent from those without capital. It seems obvious to me, any plan for UBI that does not include an equitable shift of equity, will be quickly absorbed in to the pockets of those least in need of UBI. Capital concentration will be further empowered to concentrate more ownership and further deregulate the protections, weakening the defences against monopoly and hastening further for profit privatisation of the commons. All the while using the misleading excuse, “but of course this deregulation or privatisation will be offset by giving everyone a generous UBI (like more drugs to dependent addicts)”. 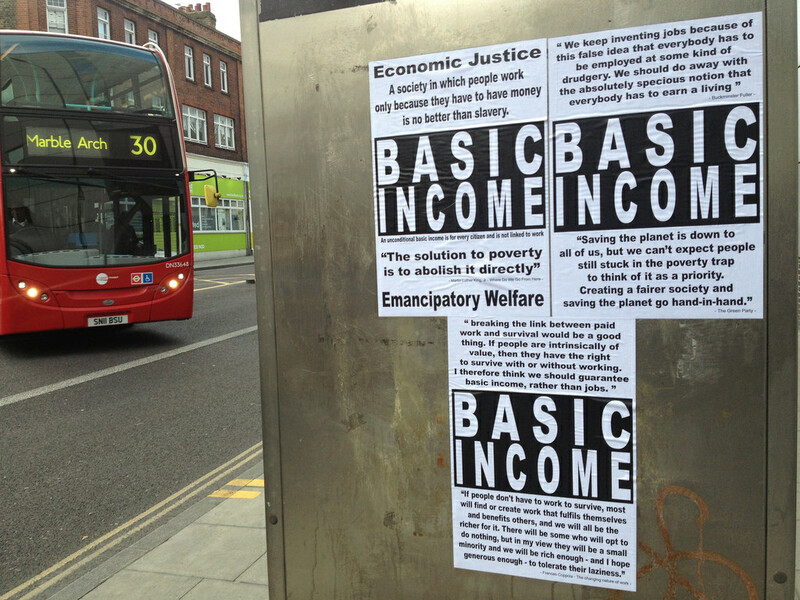 Will UBI replace the myriad of targeted benefits systems as a way of reducing the costs? Will UBI be used as an excuse to increase fees for social services? Will unemployed people on UBI be less inclined to race to the bottom for temp jobs etc.? How to avoid abuse (e.g. if foreigners move to an UBI area and only stay long enough to become eligible, and then move back to their own country, asking someone to collect the UBI and help them with fake facade of living in the UBI area)? What will happen in the robotics driven end-of-work scenario?